Shopping for Wonder Woman Pop! Vinyl Figures? The Amazon warrior princess known as Wonder Woman is about to take your collection by storm! From 2017's Wonder Woman movie, comes this Pop! Vinyl Figure of our hero's helpful new friend, Etta. 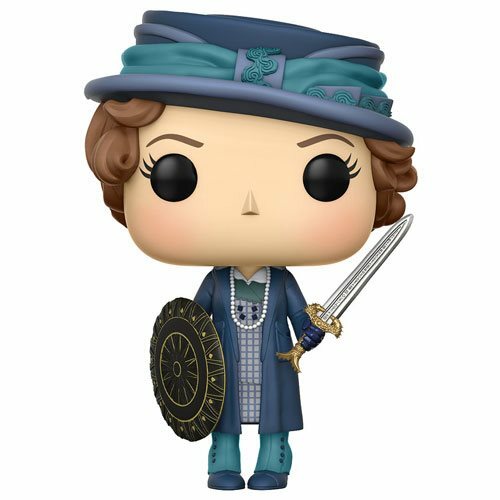 The Wonder Woman Movie Etta with Sword and Shield Pop! Vinyl Figure measures approximately 3 3/4-inches tall and comes packaged in a window display box. Ages 3 and up.